With the election of a new American president, there is much discussion of what is referred to as an ‘America First ’principle to guide the United States’ conduct of foreign relations. Although the exact elements and contours of this America First principle are still being worked out, at its core it appears to be a premise that each foreign policy issue requires a case-by-analysis of the extent to which U.S. interests are directly benefitted or directly burdened by different policy options. At first blush, there is an understandable common sense appeal to the America First principle. Why would any nation make foreign policy decisions it believes are against its own national interest? The thorny aspects of the America First principle arise when the geographic and temporal dimensions of foreign relations are taken into consideration. That is, there are situations where one foreign policy option benefits the U.S. in a particular location or at a particular point in time, but this same policy option creates precedent that works against U.S. interests at another location or point in time. What America First means in this context becomes less clear. As we consider the emerging America First approach of the new American president, it is worth reviewing the U.S. experience with the Harmon Doctrine, which once guided America’s foreign policy approach to international rivers. Up until around 1900, there was some support for a principle of international water law known as ‘absolute territorial sovereignty’. Pursuant to this principle, when a watercourse flowed from upstream nations through downstream nations, the upstream nations were lawfully entitled to capture or otherwise use, all of the water resources that passed through their boundaries without any obligation to downstream nations. Upstream nations might voluntarily, opt to enter into treaties with downstream nations regarding water resources, but such treaty arrangements were not mandated under international law. In an 1895 opinion, U.S. Attorney General Judson Harmon relied upon the principle of absolute territorial sovereignty to conclude that the U.S. did not have any international law obligation to Mexico to curtail U.S. diversions on the mainstream of the Rio Grande (which flows from the United States to the border with Mexico). This 1895 opinion, which became known as the Harmon Doctrine, declared that whether an upstream nation should ‘take any action from considerations of comity is a question that should be decided as one of policy only, because, in my opinion, the rules, principles and precedents of international law impose no liability or obligation” upon upstream nations. The Harmon Doctrine aligned with the U.S. interests on the upper basin of the Rio Grande, which flows from Colorado to the Mexican Border, since the U.S. was an upstream nation. It also later aligned with the U.S. interests on the Colorado River, where the U.S. was also an upstream nation. The Harmon Doctrine became problematic, however, when applied to Mexico’s tributaries to the Rio Grande and in the Columbia River basin. The primary tributary to the lower Rio Grande (as it flows along the Texas-Mexico border) is the Rio Conchos, which flows northward from Mexico to the Rio Grande. Similarly, the Columbia River flows south from British Columbia (in Canada) into the U.S. states of Washington and Oregon. Unlike with the Rio Grande’s upper basin and the Colorado River, with the Rio Conchos and the Columbia River, the U.S. is a downstream nation. Hence, under the Harmon Doctrine, Mexico would have no obligation to ensure the flows of the Rio Conchos reached the confluence with the Rio Grande, and Canada would be entitled to divert all of the flow of the Columbia River before it reached the U.S. border. The principle of absolute territorial sovereignty, which had worked to the U.S. advantage on the upper basin of the Rio Grande and the Colorado River, now threatened to undermine U.S. interests in the waters of the Rio Conchos and Columbia River. It also impeded relations with Mexico in the lower basin of the Rio Grande where the river formed the border between Texas and Mexico, and the two nations hold both upstream and downstream status. As these consequences became clearer, during the course of the 20th century, the U.S. moved away from the Harmon Doctrine and adopted a new approach to the allocation of international watercourses. In contrast to absolute territorial sovereignty, the new approach provided that upstream and downstream nations share international rivers and that upstream and downstream nations have certain obligations to each other. This approach, which would later form the basis for the principle of equitable and reasonable utilization, is reflected in the 1944 Mexico-U.S. Waters Treaty (requiring the U.S. to leave certain quantities of Colorado River water in stream for Mexico, and obligating Mexico to leave certain quantities of Rio Conchos water in stream for the U.S.), and the 1964 Columbia River Treaty (requiring Canada to leave certain quantities of Columbia River water in stream for the U.S.). 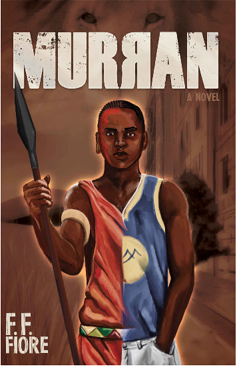 This movement in American foreign policy towards equitable and reasonable utilization was based on the recognition that the U.S. had more to lose than to gain by adhering to an absolutist principle that responded only to short-term regionally-specific needs. The demise of the Harmon Doctrine and the ascendancy of the equitable and reasonable utilization principle reveal that determining what is in America’s interest may require an understanding beyond the most immediate foreign policy crisis at hand. With the Harmon Doctrine, a narrow focus on the U.S. upstream status in the Rio Grande’s upper basin and the Colorado River led to America’s promotion of a principle that failed to take account of U.S. downstream status in the Rio Conchos and Columbia River basins. In terms of implications for the new American president, the history of the Harmon Doctrine suggests that it may not be so much a question of whether an America First principle should guide U.S. foreign policy, but rather a question of how we define what is in America’s best interest. There will be situations where the U.S. is ‘upstream’ (in a position to act unilaterally to achieve its objectives) but circumstances will also arise where the U.S. is ‘downstream’ (in a position where it needs support and engagement from other nations to achieve its objectives). As the demise of the Harmon Doctrine reveals, an approach to foreign policy that assumes the U.S. will always be in the upstream position to unilaterally advance America’s interest ignores both past experience and present realities. Beyond trans boundary river basins like the Rio Grande, Colorado and Columbia, there are other international challenges such as terrorism, global warming, nuclear weapons proliferation, and ocean governance that the U.S. cannot resolve alone. The reason such challenges cannot be addressed effectively by acting alone has nothing to do with a lack of American strength or resolve, but rather with the intrinsic cross-border aspects of these challenges. With few exceptions, it would be unwise for the U.S. to act unilaterally to achieve its objectives, and then expect other nations to respond favourably to America’s request for multilateralism when the U.S. finds itself in a position that necessitates cooperation. Respect for, and compliance with, common international law principles (such as the principle of equitable and reasonable utilization of trans boundary rivers) may not always be in America’s broader interests, though quite often it is. Similarly, the disregard for and non-compliance with such principles may sometimes serve America’s near-term interests, though quite often it does not. To ensure that America’s national long-term interests are served by our geographically-specific short-term foreign policy decisions, the U.S. requires a president with a keen understanding of these dynamics and trade-offs. Paul Kibel is a professor of law at Golden Gate University School of Law, and author of the forthcoming book Understanding Water Rights in California and the West. Paul Kibel is a member of the International Association for Water Law (AIDA).el, South America and Britain. He has been invited on several occasions to lecture on the subject by the Centre of International Studies at Cambridge University. He is also a Natural Resource Counsel to the Water and Power Law Group. Gabriel Eckstein is a professor of law at Texas A&M University School of Law and director at the International Water Law Project. He is also an Executive Council Member at the International Association for Water Law (AIDA). 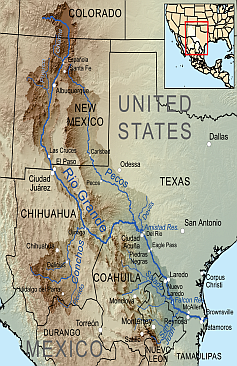 Article picture: Map showing the Rio Grande, and its tributaries — within the Rio Grande drainage basin Located in northeastern Mexico and the southwestern / south-central United States. Source: Wikipedia.